"Above all," Mark Berry writes, "this return to the Royal Opera House of Tannhäuser proved a musical triumph. Semyon Bychkov’s conducting was superior even to that of his Lohengrin last year. He generally took his time, but the score never dragged, given that Wagner’s long line was ever secure – bar the odd occasion when abruptness cannot quite be ironed out of the score. Climaxes were sparing and therefore all the more powerful when they came. Perhaps most importantly of all, the Orchestra of the Royal Opera House was on superlative form. Brass onstage and off were weightily impressive without brashness. The woodwind choir evoked a Middle Ages that may never actually have existed, but certainly did in Wagner’s imagination. As for the strings, one might well have thought them from Vienna, so beautiful was their sheen. Equally fine was the chorus and extra chorus, properly weighty of tone without undue sacrifice to verbal meaning; Renato Balsadonna had trained them very well." "There is no pleasure in looking at the outside world, and my constant prayer is that I may succeed in keeping R. in his element by concealing the realities of life from him as much as possible." Penelope Turing, Bayreuth Festival expert, traveller, author, critic and lecturer died this morning in London, 85 years old. 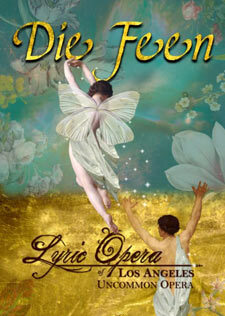 Opera, especially Richard Wagner, has been a major influence in her life. Turing is the author of New Bayreuth", first published in 1969. 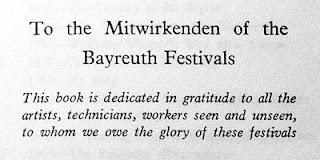 This book is an important source to the post war productions at the Bayreuth Festival. 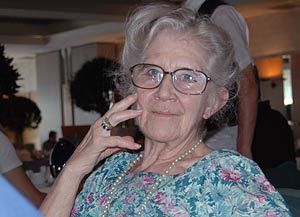 Her biography on Hans Hotter was first published in 1983, and each year she gave courses in Britain on Wagner’s operas and on the new post war style at Bayreuth. Turing is one of the very few persons that has seen every single production at the Bayreuth Festival since the Second World War, and she has reported from the Bayreuth Festival almost every year since 1952. Her last Bayreuth visit was in 2009, which she was covering for The Stage. Although faltering health has restricted her travelling lately, she had planned to see the new Lohengrin production, and she was perfectly aware that this visit would have been her last. I met Turing for the first time during the Festival in Bayreuth in 2008. We attended the same performances, and it was impossible not to be moved by this tiny old woman who had severe difficulties walking, but was friendliness herself, very British, and with a wonderful sense of humour and irony. We talked during the one hour intermissions, eating Wurst with mustard, and she was happy to share her Bayreuth experiences with Wagneropera.net's readers in an interview that Erling E. Guldbrandsen and I did with her at the Arvena Kongress Hotel that summer. Just five days before she died we spoke on the phone. She told me she had to cancel her Bayreuth trip this year, and it was obvious that she was very weak when we spoke. She laughed out loud, though, when I told her about the rats in the new Lohengrin production at Bayreuth. The creativity of the Regietheater productions she never really liked, but even though she did not approve of the new New Bayreuth, her lifelong love for the Bayreuth Festival, and her appreciation of the work done by the people at the Bayreuth Festival, never died. 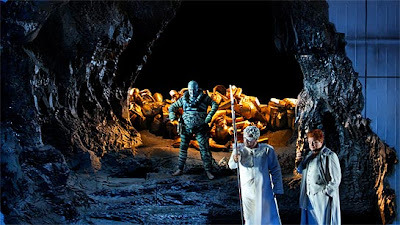 In June and July of 2011, San Francisco Opera will present three complete cycles of Wagner's "The Ring of the Nibelung" ("Das Rheingold," "Die Walküre," "Siegfried," "Götterdämmerung"). While the cycles are only available by subscription as a four-opera series, single tickets are available for the production-premiere performances of "Siegfried" (Sunday, May 29, 1pm) and "Götterdämmerung" (Sunday, June 5, 1pm). "Ring" Director Francesca Zambello was recently appointed general and artistic director at Glimmerglass Opera, the summer opera festival in Cooperstown, N.Y.
Zambello has worked at many of the world's major opera houses. Her staging of this past summer's "Die Walküre" received raves from critics and audiences, according to the San Francisco Opera press release. Beginning this September, a diverse array of cultural and educational institutions will present lectures and symposia, exhibits, musical performances, film screenings and other events throughout the Bay Area for audiences who desire to connect with the work in new and compelling ways. The World of Wagner's "Ring"
Composer Conrad Susa ("The Dangerous Liaisons," "The Love of Don Perlimplin") will serve as guide in an examination of the power and scope of Wagner's great "Ring" cycle. Those who are familiar with Susa's charming style will relish his reverent - and irreverent - insights. Come explore these vast structures in a journey through sagas and mystery, a journey into your own soul. To what extent does Wagner’s anti-semitism impinge on his music dramas? Nobody denies that Wagner was an anti-semite. But was his anti-semitism expressed in the works themselves? The issue has been much debated over the past two decades, but has resurfaced once again recently, not least with the new production by Richard Jones of Die Meistersinger von Nürnberg for Welsh National Opera, performed also at the BBC Proms. 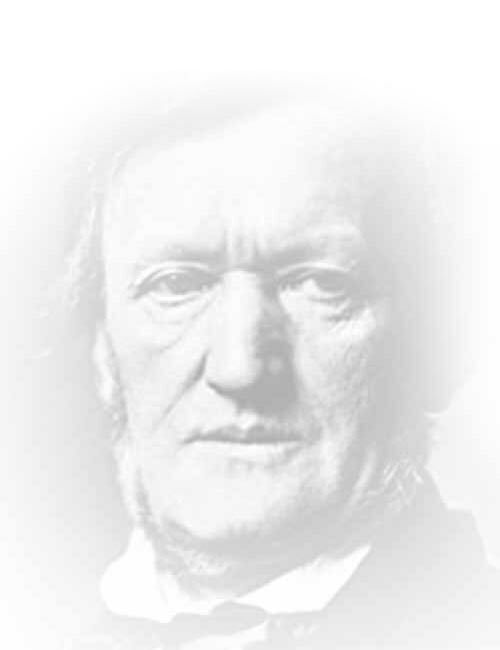 The Wagner Journal asked Barry Emslie, author of Richard Wagner and the Centrality of Love (Boydell & Brewer, 2010) and Mark Berry, who reviewed Emslie's book in the latest issue of the journal, to debate the subject. The 99th Bayreuth Festival was opened on Sunday 25 July with the usual unwagnerische procession of so-called prominent people. A completely disgusting circus. 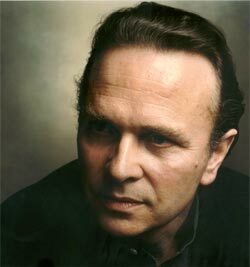 The Festival opened with a new production of Lohengrin by German music theatre's enfant terrible, Hans Neuenfels. Judging from the radio broadcast, there were two names that deserve a special mentioning: Jonas Kaufmann as the near perfect Lohengrin and the conductor Andris Nelsons. Ein merkwürdiges Déjà-vu (taz.de): "Der Tenor Jonas Kaufmann und die Sopranistin Annette Dasch sind ein wunderbares Paar: Beide geben ihren Rollen, die mit viel mystifizierendem Ballast beladen sind, ein menschliches Maß und höchste Glaubwürdigkeit zurück, gerade in den Szenen der inneren Zerrissenheit Elsas." Andrew Clark: Lohengrin, Bayreuth Festival, Germany (Financial Times): "Suddenly, Lohengrin had become a more troubling, more ambivalent work than we all imagined it to be. In place of utopias, it spoke of false dreams, taboos, uncertainty. The rats’ herd-like belief in a better life had been smashed, just as Lohengrin’s quest for unconditional love had failed. No wonder Wagner called Lohengrin his saddest opera. " FOCUS-Redakteur Gregor Dolak: "der eigentliche Hauptdarsteller der Produktion: Kapellmeister Nelsons"
Die Welt: Buhgewitter und Beifall für Bayreuther "Lohengrin"
Please leave links to other reviews in the commentary field, and they will be included above! Die Zeit: Hans Neuenfels Interview: "Also bitte, der Schwan muss sein!" Yesterday, there was an event held at the Bayreuth Festival Theatre commemorating the life and works of Wolfgang Wagner. 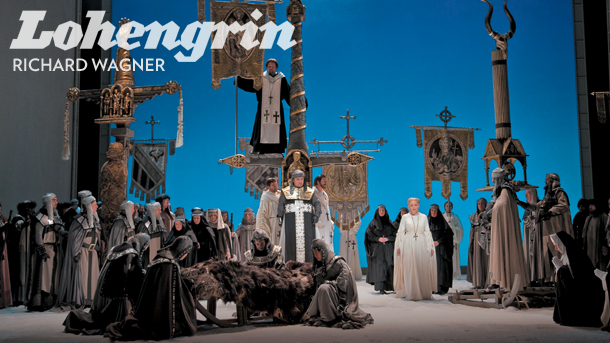 Wagner's Lohengrin in a production by Danish director Kasper Holten will soon be performed at Tampere Opera, Finland. The premiere in Tampere Hall will be 10 March 2010.